Have you ever wondered how the town of Prince Frederick got its name or how it came to be the county seat of Calvert County? Or, did you know that the area that is Calvert County has been inhabited for over 9,000 years? Well, sit for a quick spell as we tell you about the rich history of Calvert County. We have discovered many interesting facts that will no doubt leave you surprised. The first residents of Calvert County archaeologists at Jefferson Patterson Park and Museum were Piscataway Indians. Later other historians claim it was inhabited by a tribe of Algonquin Native Americans known as the Patuxent Indians. Named so, because they built their villages along the banks of the Patuxent River. In 1608, the famous explorer, John Smith, discovered the tribe while mapping the Northern Chesapeake Bay. The Patuxent Indians grew corn and tobacco on fertile farmlands. This land was very attractive to colonists arriving from England in the early 1600’s. 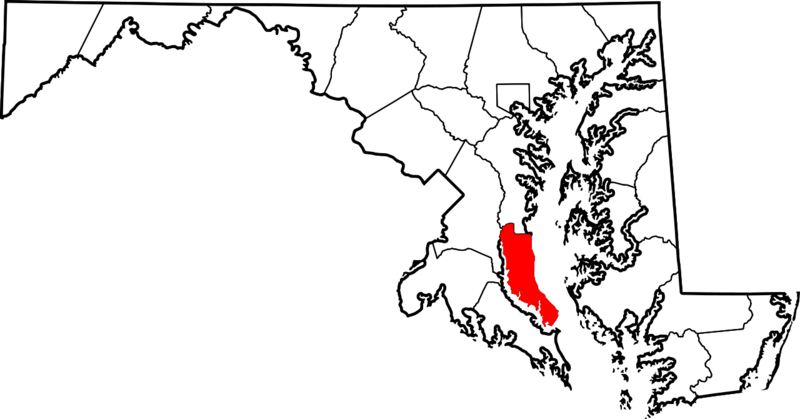 The English first settled the area between 1637 and 1642, with the establishment of Calvert County in 1654 by Cecelius Calvert, Second Lord Baltimore. Until 1658, it was known as Patuxent County. As so many did during this time, settlers arrived seeking religious freedom from the Church of England. It is one of the oldest established counties in the United States. Through the years that followed there was much civil unrest, mostly because of conflicts concerning religion. English gentry were the first settlers, followed by Puritans, Huguenots, Quakers, and Scots. In 1689, the Anglican Church was established as the State Church of Maryland, and the Capitol moved to Annapolis. In 1695, Calvert County then became partitioned into St. Mary’s, Charles, and Prince George’s. And, the boundaries became pretty much what they are today. Prince Frederick has served as the county seat of Calvert County since 1722. The leaders chose the area as the site for the county courthouse. The town completed the original courthouse in 1732. During the history of Calvert County, the Brittish invaded twice. The first attack came in 1780, during the Revolutionary War. Brittish troops arrived a second time during the War of 1812. Calvert County became a battleground, both on land and sea. The famous Battle of Barney’s Flotilla at the mouth of St Leonard’s Creek marks a pivotal point in county history. Barney’s men deliberately scuttled, or sunk, their ships to keep them from falling into the hands of the Brittish. During this battle, the county courthouse and jail were also burned. During the 1800’s, Calvert County’s main industry was the growing of tobacco. Therefore, through the years, Calvert County became reliant on slave labor. However, Maryland walked a tightrope when the Civil War broke out. Not only was the state geographically located smack dab in the middle of the conflict, but they also relied on both the North and the South economically. Officially, Maryland became aligned with the North (Union), but reports indicate that the tobacco growers in Calvert were most likely sympathetic to the Southern (Confederate) cause. Once the Civil War ended, along with it slavery, profound changes occurred throughout the county. In 1867, Captain Issac Solomon established a commercial fishery, which became known as Solomon’s Island. Complete with a boat building and a cannery along with the fishing fleet, the bustling business vastly contributed to the county’s economy. The Second World War brought real change to Calvert County. In 1942, Solomon’s Island became the training site for Navy and Marine detachments. They established an Amphibious Training Base at Dowell. This base was the site that they simulated the invasion of Normandy, on the lower Cliffs of Calvert. The influx of personnel and dollars, as a result of these military bases, brought with it a new prosperity to Calvert County. Since WWII, Calvert County has steadily grown due to various infrastructure improvements. Some on these include bridges and work boat ferries connecting Calvert to other counties. Adam’s Taphouse and Grille is proud to serve the residents of Price Fredrick and is honored to play a part in the history of Calvert County. We have grown to love this town and everyone here. We look forward to serving for many years to come. Stop in today, enjoy some delicious food, and spin a yarn or two, and share a tale!